These Forgefix Masonry Anchors are Zinc Yellow Passivated for increased durability and corrosion resistance. 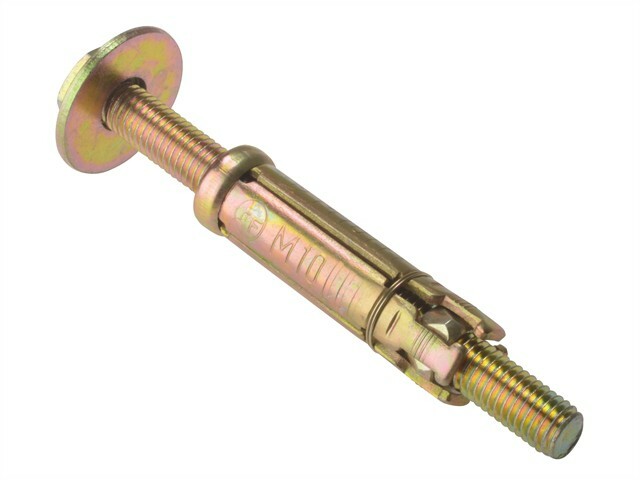 They have a tough and reliable construction to cover most heavy-duty fixing applications. The four way expansion shield offers extremely strong and secure anchorage, and the specially manufactured retaining spring ensures encapsulation of the wedge during expansion. Ideal for fixing racking, machinery, trunking, pipework, switch gear and other applications.